Everyone reading this already knows but I'm going to say it anyway. With pictures. 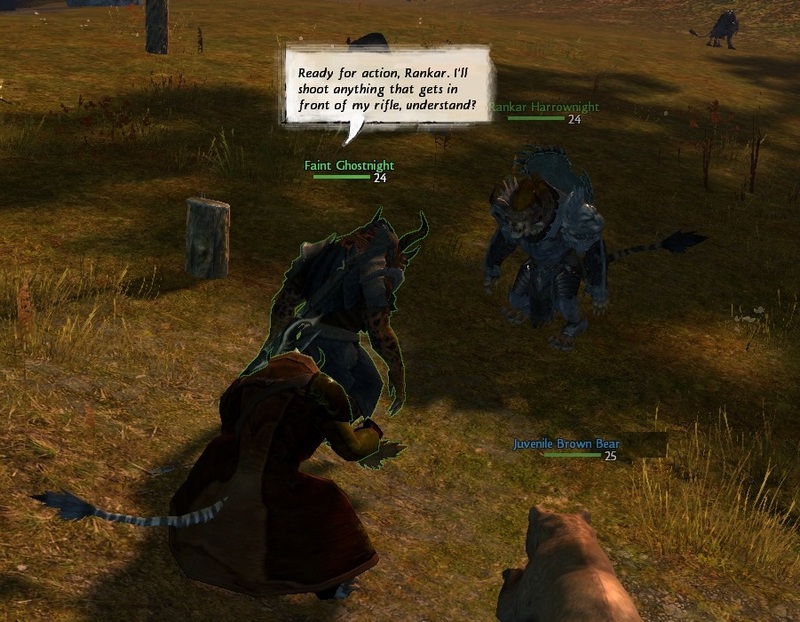 There really better had be some headgear for Charr that isn't a just a snout hankie. If she can take whittling as her craft skill, why can't I?I could so do that! I found him in a dredge mine behind a locked door. Couldn't leave him there, could I? "an exclusive personalized tour of City of Steam with us, the developer! You’ll get to see and play around the game before anyone else does (major bragging rights)! On top of this you’ll get to talk to us, and bring 2 friends! " I liked City of Steam a lot when I played the Sneak Peak, enough to post about it here several times. I'm really looking forward to the Alpha, which is tentatively scheduled to start in July. I'm not entering that contest, though. It sounds like a press tour, which is fine for, y'know, Press. 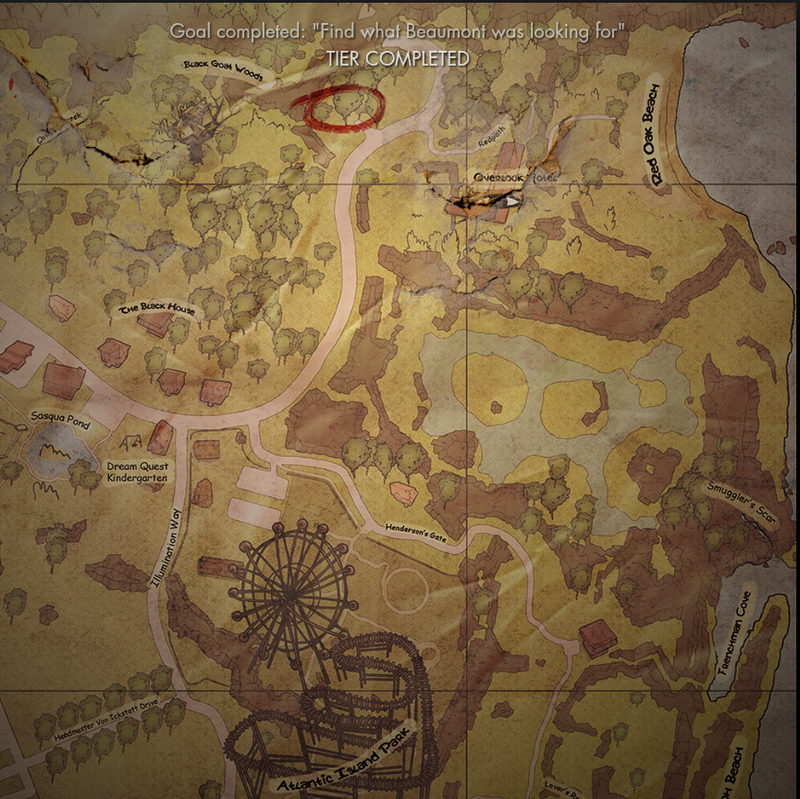 I just want to get into the alpha and help push the game along the tracks to launch. If anyone would like to try, here's the thread you need. So far there are seven entries so the odds aren't bad. If I understand correctly, everyone who signs up for the City of Steam Newsletter should get an Alpha invite. It's a nice newsletter too. The Mechanist devs seem like real enthusiasts. They like to chat about mechanics and development decisions in some detail, and a lot more informally than bigger MMO houses do. Makes for a more interesting read than the average promo. I'm not generally one for reading the websites of MMOs that aren't even in beta yet but I do browse this one, on and off. The whole site got a facelift recently and it's rather spiffy. There's a ton of interesting information trickling out about the setting, the races and the world. Already some of the things I felt didn't make much sense in the Sneak Peak are beginning to clarify. 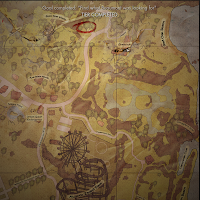 I also notice from the new website that City of Steam has been re-positioned. I am nigh on certain the old FAQ called it either an MMO or an MMORPG. Now its "a massively-multiplayer, steampunk-themed ARPG". I find that somewhat odd considering that one of the things I praised about the incarnation I saw was the slow pace, about the last thing you'd associate with an ARPG. Whatever it is, I'm looking forward to it. I'll pass on the personalized tour but I'll take an alpha key, please. 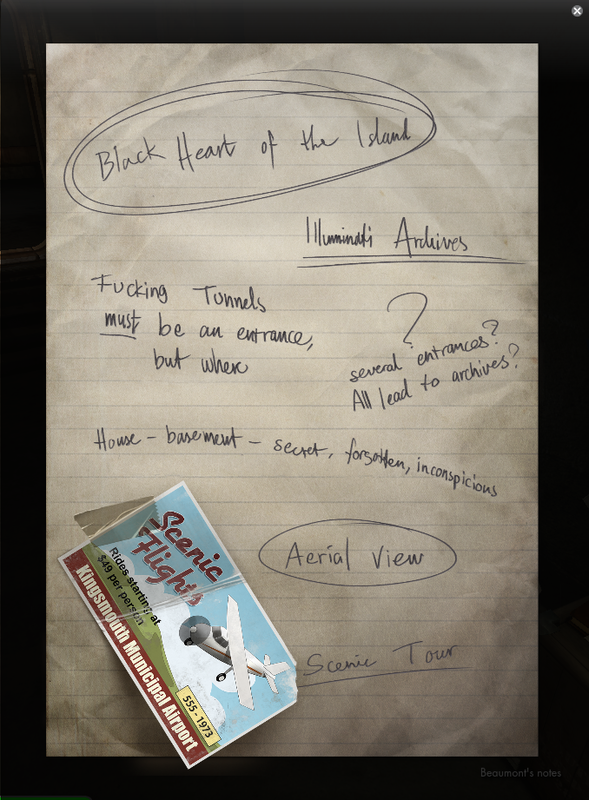 (Images lifted from City of Steam website. Didn't think it was fair to use more of my old Sneak Peak ones now they've gone and given the graphics a wash&brush-up). What with all the MMO doom and gloom of the last few weeks, the bankruptcies, closures, lay-offs and cancellations it's worth remembering just how many of the blasted things there are out there. I'm a dipper and a sampler of MMOs, a collector even. In a dozen years I must have tried sixty or seventy. That's not even one in ten just of those released in English. I do try to keep my end up. I sign on for betas and download trials. I follow the news and watch out for anything coming along that might be interesting. 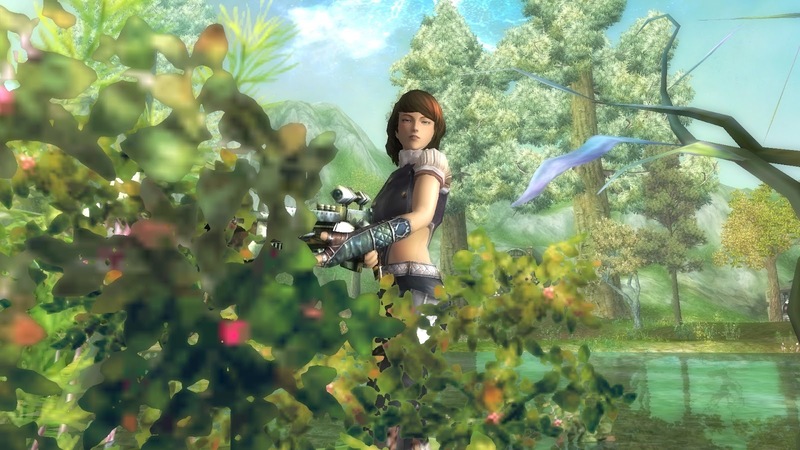 I know about ArchAge and Firefall, Origins of Malu and The Repopulation, Salem and Storybricks. I've written about City of Steam and The Missing Ink. And as I've mentioned, still they slip by. I am not a pixie! These are mechanical! I hadn't missed Argo. I just hadn't paid it much attention. Argo is one of the small but growing cadre of supposedly Steampunk MMOs, most of which have very little steam and no discernible punk. Now, I haven't read a lot of Steampunk so maybe I'm missing a key genre convention, but does it always have elves? Well Argo is all that. Plus the website looks horrible. And it's published by Allaplaya, the gaming wing of PSS1, who as we all know are The Devil. And anyway, I don't have time for yet another badly translated F2P. So I downloaded Argo. And guess what? It's quite good. I might go a bit further. It's possibly the most enjoyable non-Western F2P I've dabbled in since Zentia. Ah, Zentia, high-water mark of random acquisitions. I'd play it now if I hadn't broken it. I really must fix that. But for now I'm going with Argo. Yes, it's badly translated. 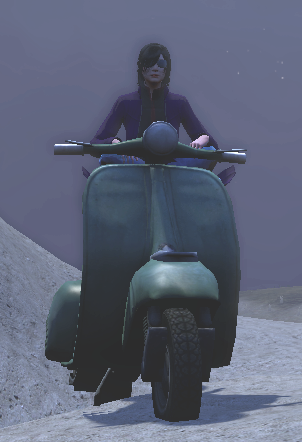 Yes, the low textures look like a child's painting seen through a rain-smeared window when compared to the exquisite detail of The Secret World. Yes, the quests would insult the intelligence of a laboratory rat. Yes, the character models look like day five of "Learn To Draw Anime in Seven Days". 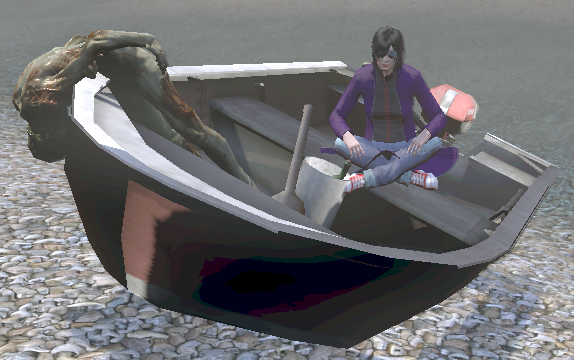 Yes, my character's gun is bigger than she is. Yes, all of that. Looks just like The Somme, doesn't it? But I'm level 10! And I've played half a dozen sessions and I want to play more. The world may not stand up to the kind of detailed examination that's so richly rewarding in TSW or GW2, but it's an intriguing, idiosyncratic place all the same. For a "post apocalyptical MMORPG" set in "a post-world-war realm" (source) it sure looks bucolic. And that's the techie starting area! God only knows what the hippie commune's like. I'd go check but I'd have to make another account. They make you pick a side and stick to it. There's a war on, in case you didn't know. Or was. Anyway, we don't talk to them. Aww come on! You wouldn't shoot me! I've roamed around. The website promises a "vigorous open world", and while I'm not vouching for the vigor it's certainly open. Distances seem large, especially without a mount. Wildlife is insanely plentiful, freakishly cute and disturbingly fast to respawn. It really rubs your nose in the futility of your own existence, virtual and otherwise, when another Urs respawns on top of the one you just killed before you've even had time to pick up his bear-bag. 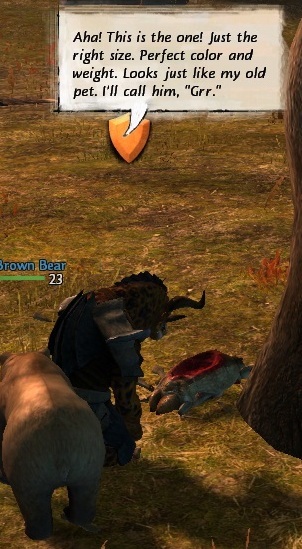 (That's like a man-bag, only for bears. All the smart, six-legged metrosexual bears are carrying them). There's crafting. And gathering. Very reassuringly traditional. Buy a pick, find a node, stack some ore. Get a recipe, learn it, select and combine. I felt at home right away. And that's the trick, right there. Argo gets that one indefinable thing right. It feels like a place you could live in. Like Zentia does. Like Loong doesn't. Yes I would. I need the practice. In that Loong piece I asked myself the question "Will I play it much?". I didn't. With Argo there's a good chance. 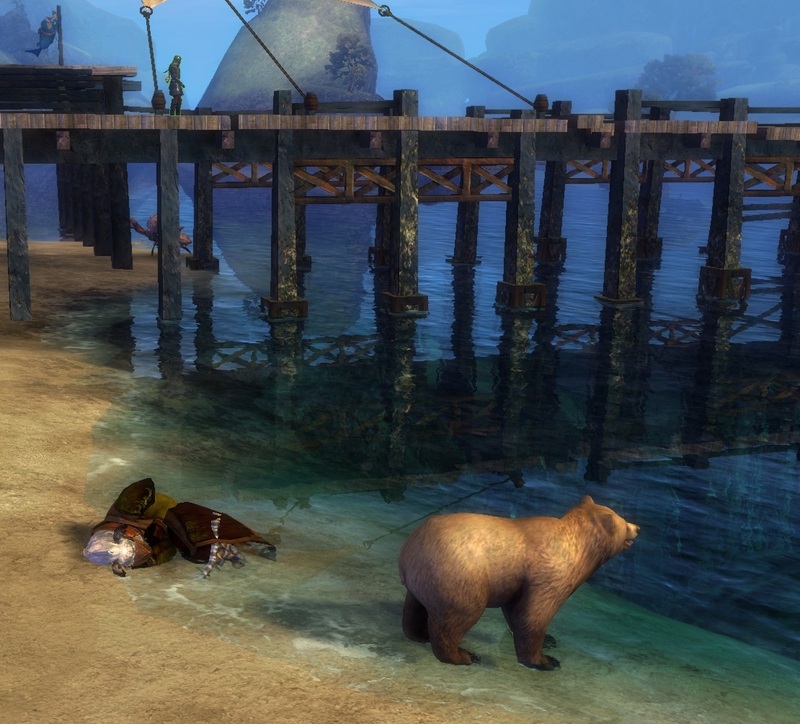 It's a poor time to be finding new MMOs, what with TSW going live this week, City of Steam alpha and EQ2's Qeynos Revamp in July and the inevitable GW2 pop-ups. All the same, I think I might find time for a little Argo here and there. It would be very nice to get past the newbie areas in one of these imports just for once. Level ten's a good start. I'll keep you posted. I bet you can't wait. So it's all aboard the Skylark for The Secret World then? Well no, not really. I've reached the point of being hyper-aware that no progress I make is going to last out the week and no feedback I give is going to change anything so I'm giving TSW a pass for most of this weekend. 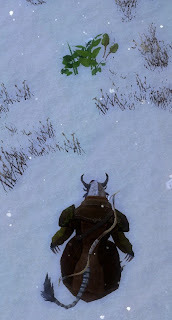 I did log in on Friday night, mostly to try out the PvP, which wasn't very impressive. I went for the persisitent warzone, The Fusang Projects. Quite laggy, especially compared to GW2's sealskin-slick equivalent. Also somewhat lacking in direction. Mostly we just ran around in big gangs jumping on each other. Fun in its way but no-one seemed to have much idea what we were supposed to be doing. It was buggy, too, with an extremely annoying Raid window that blocked the whole screen unless you manually closed it. Worse, it re-opened every time you died, which was often in my case. 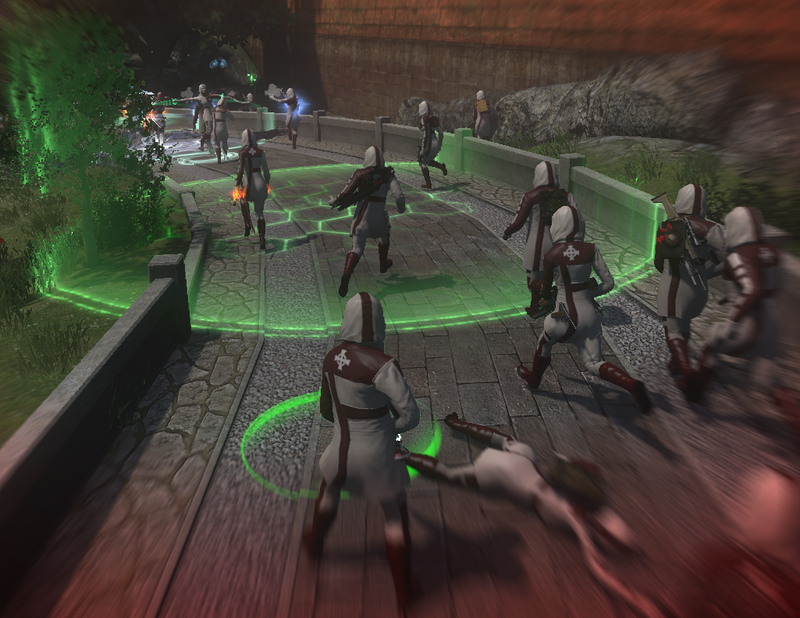 Then there was the peculiar design decision to dress everyone in a faction exactly the same. I can see the practicality, but it looks horrible. It's early days, though, and it's worth noting that now the NDA is down, closed beta testers are sounding pretty positive on PvP. 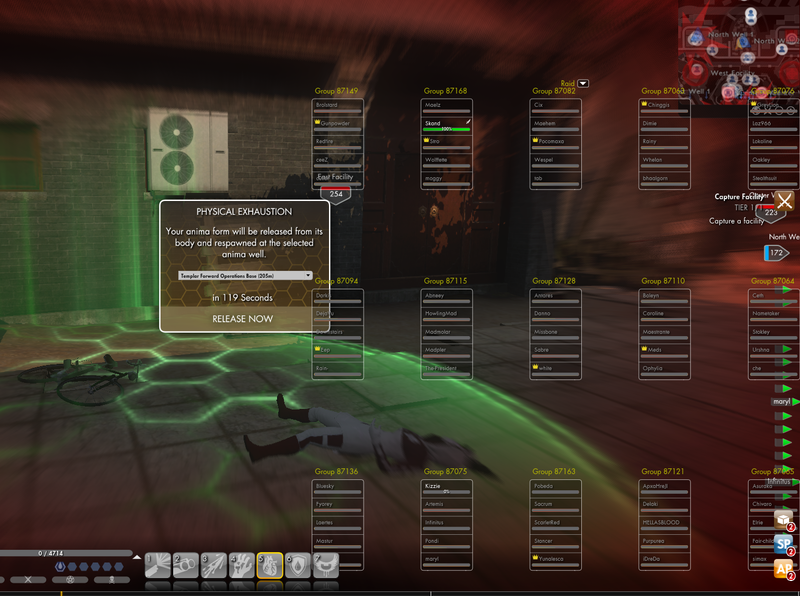 They also report that it works like the rest of TSW in that it does require that you think. You have to work out what's going on and what you need to do about it before you can be effective. 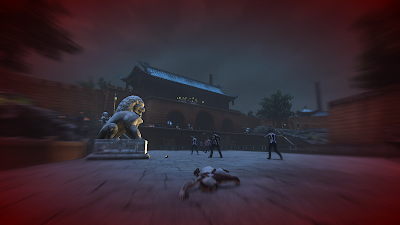 Two hours with a bunch of total newbies running around hollering with no clue what to do probably isn't going to give a fair impression of what PvP gameplay might be like in a couple of month's time. I'll give it another go tonight, and take a run at the El Dorado battleground too. Pardon me? Is this Clone Wars? I'm not much concerned over PvP anyway. 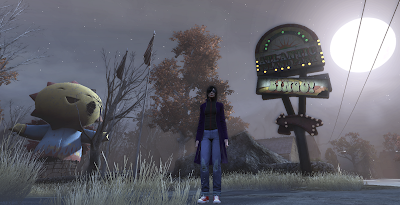 It's neither my personal focus nor the focus of The Secret World as an MMO. It'll be nice if it's good but easy to ignore if it's not. Everything else is shaping up very well indeed. The relaxing of the CB NDA seems to have put paid to the Tortage problem. The main worry seems to revolve around replayability, which is seemingly inevitable once you tie your progression to story. 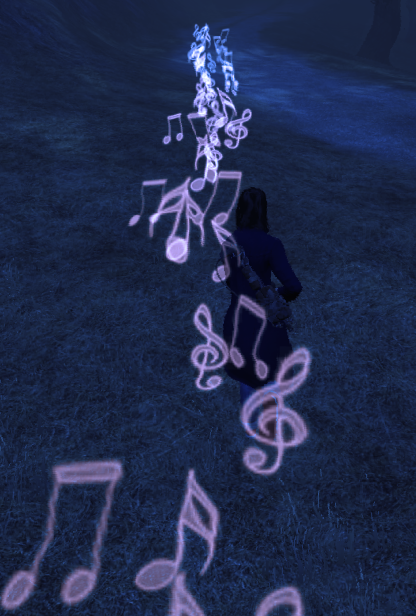 On the subject of storytelling, Funcom did something weird for this final beta weekend. They disabled all of the Investigation Missions. These are the ones that have been generating all the positive hype about puzzle-based gameplay and bringing thinking back to MMOs. Not surprisingly some people coming late to the party have been left wondering what all the fuss was about. Hmm. 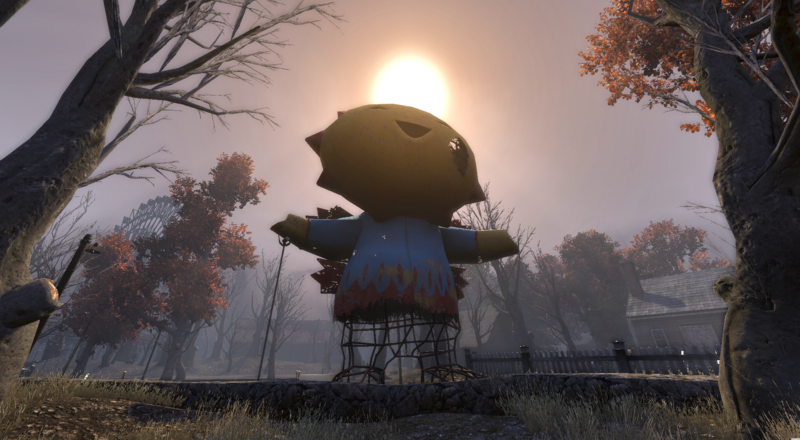 I seem to have written another post about The Secret World. That wasn't the plan at all! Are they putting something in the water supply again? Oh well, never mind. Circumstances mean that there's very little chance I'll be able to say anything about the headstart or the first live week so may as well get it out of my system now. 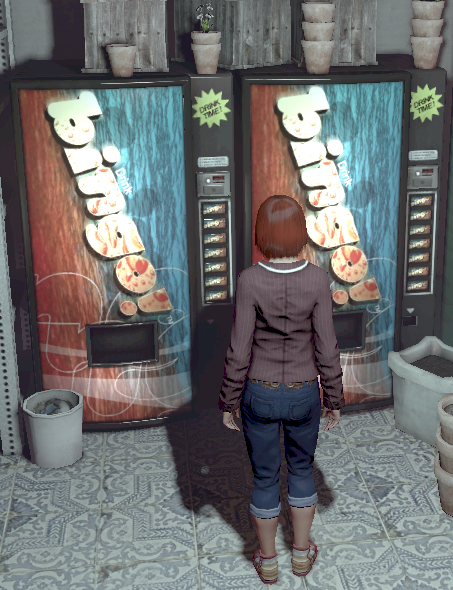 The Secret World is an unusual MMO in many ways, not least in its emphasis on puzzle-solving. Someone at Funcom has thankfully remembered that while solving puzzles is fun indeed, running around aimlessly searching for puzzles to solve isn't. When you accept a Mission you can, usually, rely on a visual nudge to make sure you notice the things you should be noticing. In the previous beta this came in the form of a dull red outline which some people found very hard to spot. This time we got a high-visibility yellow glow which I was surprised to find not just much easier to see but also more immersive. Why this should be I'm not sure. You'd think a more intrusive, brighter color would scream "game mechanics" but somehow it had precisely the opposite effect. We're all bee-eating paranormals after all. Who's to say we can't see auras? Recent discussions over GW2 brought some controversy over the willingness or otherwise of MMO players to accept new modes of play. If you thought GW2 required a few new tools, The Secret World sends you out to buy a whole new toolbox. Not only are you expected to read, listen and watch, you need to pay attention too. And on top of that you're expected to think. I know! They should be paying us, right? 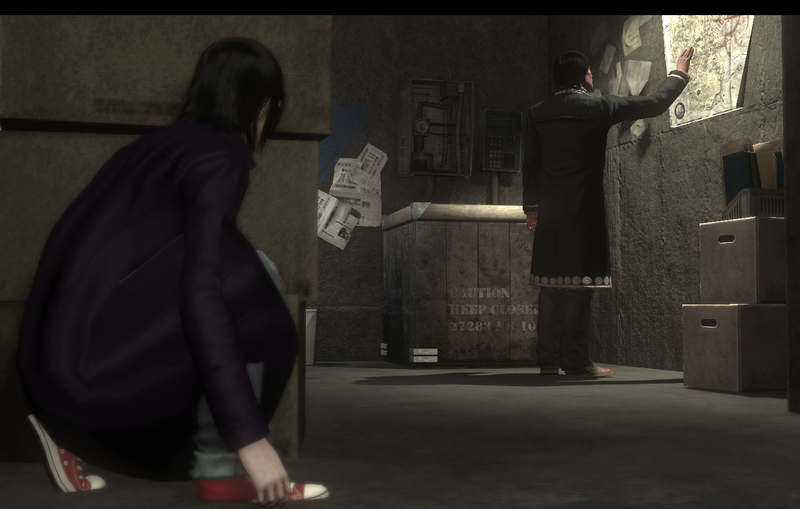 There's a fine line between mystery and misery and TSW walks it with style. I did my best not to look up information on the web (except when I was meant to. There's an in-game browser for a reason and I don't think Funcom expects all MMO players to know Kings II by heart, just as a for instance). Even in beta the information is out there if you want it and once the game goes Live there will be ample opportunity to spoil your own fun, but I suspect that players who can't get by without looking up every step will soon lose interest and leave. The blogosphere ripples with schadenfreude over the fall of the Fourth Pillar and I've already made my feelings plain on the poor fit of GW2's Personal Story. 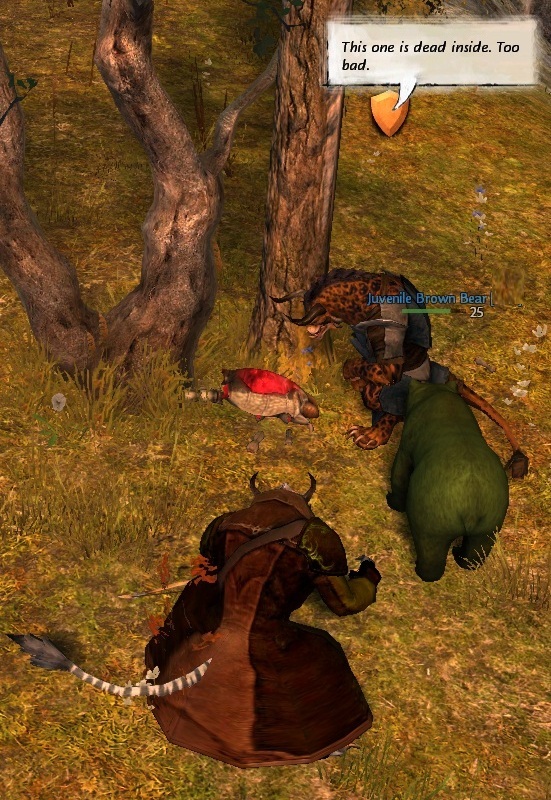 I'm not big on "story" in MMOs in the first place. Players make the story, that's the point. 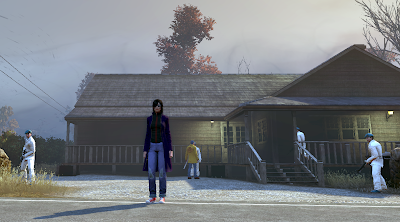 If story there must be, however, TSW's way is the way to do it. One key factor makes it work: my character never speaks. Every cut scene finds her standing, looking pensive, attentive, keeping her own counsel. 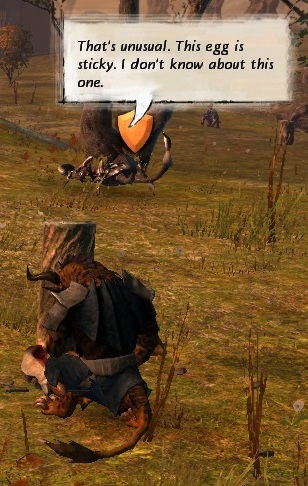 Sometimes the NPCs tease her for her taciturnity. "You must be a wow at parties", one said. The huge benefit of this approach is that it leaves me in complete control of my character. In terms of action, the cut scenes don't commit me to anything. When they end I can choose to act on what I've heard and seen or ignore it. I can even squirrel away the information and wait until I learn more before I make a decision. Most importantly, my characters thoughts and emotional reaction to what she's heard and seen remain my own. Her own. Ours. Nothing is imposed. I don't read that she "feels" this or "thinks" that. No emotional reaction is ascribed to her. This makes such an enormous difference to me it is hard to emphasize it enough. Story as well-written as this, presented as openly as this, allowing me full ownership in this way changes the whole paradigm. 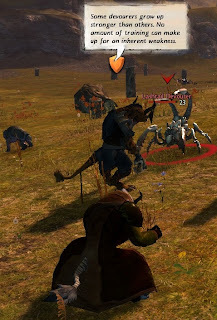 I would very much like to see this approach extended even to traditional MMO quests. I have never enjoyed those canned alternative responses that offer my character two or three smart, sassy or plain rude responses that supposedly imply a personality. 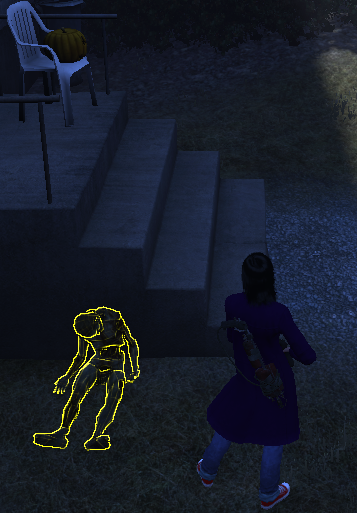 I'd far rather the NPC just said his piece and left me decide how my character replied. I have an imagination and I'm not afraid to use it. Odd, then, to find them running a yard sale. Toting heavy-duty automatic weaponry, their spotless white coveralls gleaming through the Fog, Council of Venice operatives appeared unheralded and unannounced to secure the perimeters of a couple of clapboard bungalows in Kingsmouth and The Savage Coast. 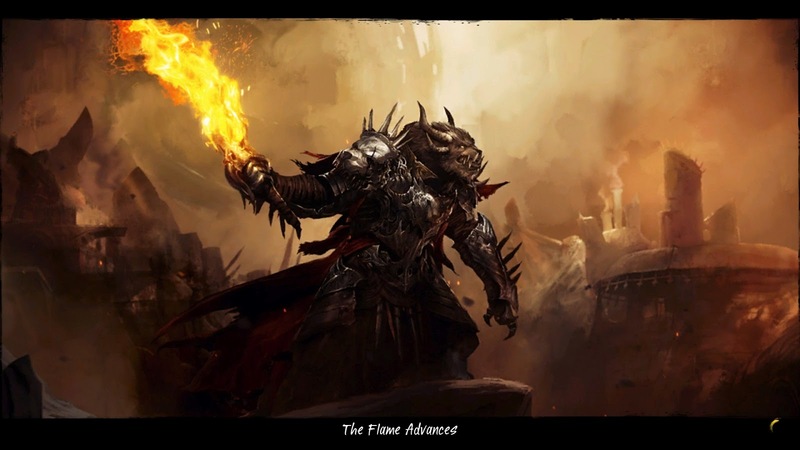 Once established they set up to sell magical artifacts, weapons and alchemical contrivances to all-comers. A very welcome, if surprising addition to an area unsurprisingly lacking in normal shopkeepers. 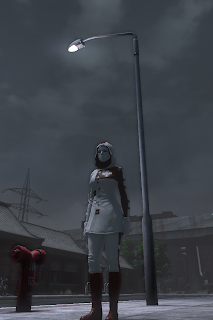 It was at this point that I realized that TSW doesn't appear to have any vendor loot. My frequently inaccurate memory tells me there was some in the previous beta weekend but I may be muddling that up with GW2. Either way, there's none now. Things Go Better With Bingo! Towards the end of the weekend I began to become so fascinated by Bingo and its ubiquity that I found myself taking screenshots of vending machines and posters. 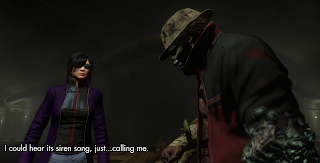 Bingo's emblematic of the phenomenal visual, textual and contextual detail in The Secret World. I just can't stop peering at stuff and taking screenshots. I think they put something in the soda. Maybe I shouldn't have gone for the Converse High-Tops. Style over substance again. If ever a game cried out for arch-support it's this one. I wanted a mount so badly I had to make my own. 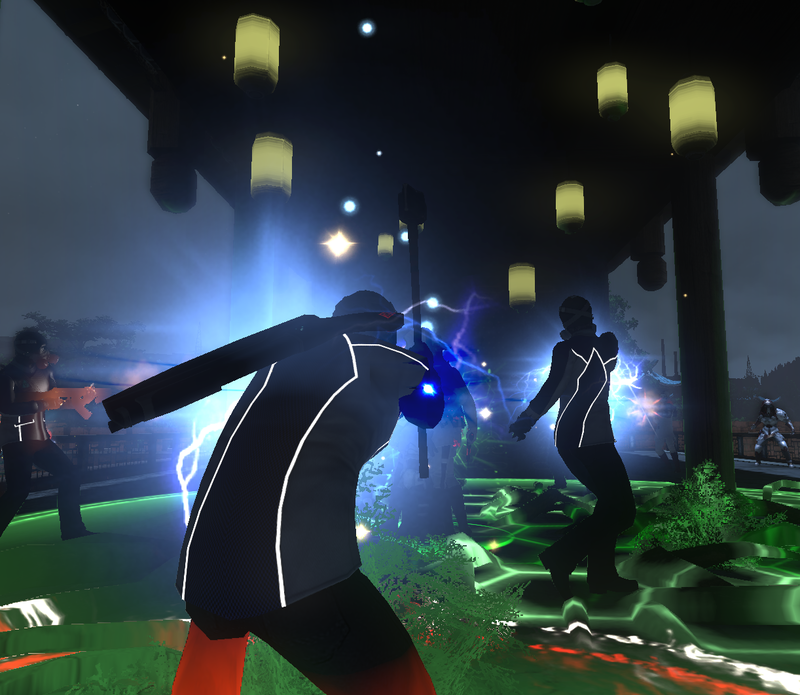 Funcom's The Secret World went Gold last week. Come Tuesday fortnight discs will be dropping on doormats all over the world. If you're the kind of weirdo who has a doormat inside your house. Is that some kind of masonic thing? 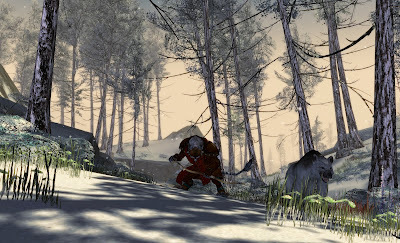 Anyhoo...Here we are, fresh from the final PVE beta weekend with just one more PVP weekend to come before we hurtle headlong into the headstart. So, is it ready? It's a fair question to ask of any MMO about to open its doors to an increasingly jaded, sceptical and most importantly paying public, but Funcom, as they say in the Eadwic Constabulary, have previous. 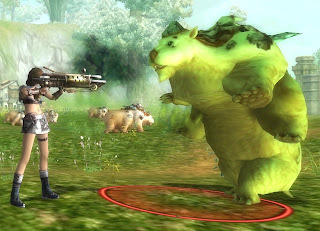 Anarchy Online, Funcom's first MMO, set an early benchmark for launchday disaster that has arguably yet to be bettered (or should that be that worsed?). Age of Conan was indubitably an improvement on that, but as Giant Bomb puts it, still "received mixed reactions at launch -- mostly poor". Didn't I see Kevin Coyne here in 1979? We've seen the starting cities. Well, I say cities... London is a single district, Eadwic. Maybe a dozen streets and a park. All I saw of New York was one block of run-down warehouses and an underground car-park. I think the rest of it is some kind of Illuminati safehouse but when I tried to saunter in they pegged me for a Templar, everything went black and I woke up in the gutter. Seoul I didn't visit at all. It seems the outdoor regions each split into three zones. In this quasi-open beta we've seen two-thirds of New England, namely Solomon's Island and The Savage Coast. The third zone is The Blue Mountains, which I found but was naturally not permitted to enter. We also had the opportunity to try two of the dungeons, Polaris and Hell Raised. 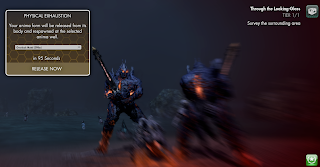 If you could meet the Q4 gear requirement. Which I couldn't. Yay! jargon! Yay! gear-gating! 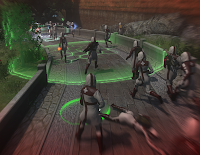 Next weekend we get a look at one of the Battlefields, El Dorado, and the Warzone. All of which means that when the game hits headstart on June 29th, a mere eleven days from now, we'll have had the opportunity to check out nine out of twenty-three playable areas. Twenty-four if you count Shambala. Are you hearing warning bells? I wouldn't blame you if you were but I don't think I am. The Secret World as I've experienced it over two weekends plays very solidly. There are bugs and rough edges aplenty but nothing I ran into put a crimp in my fun. The zones I've explored are immensely detailed, complex and filled with high-quality content that draws you in and sends hours flying by. Even if it turns out that Funcom are racing to build the world ahead of us as we push our way into it, well it won't be the first time and I'd rather be in there poking around while they do it than out here twiddling my thumbs. 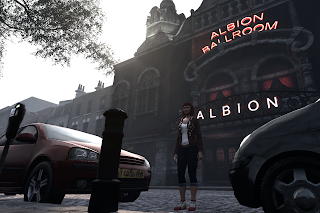 It's a solid bet that The Secret World will be a much more stable, finished MMO in six months from now. 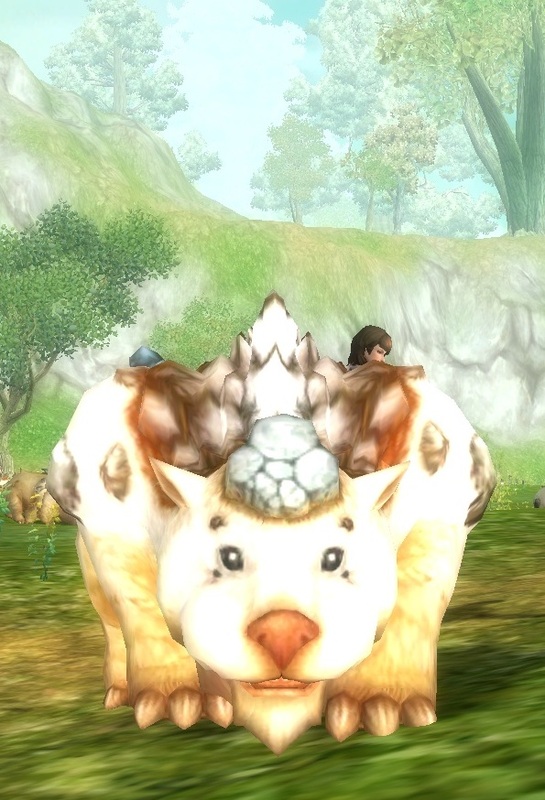 In six months from now, though, I'll be in Tyria. I'm ready for The Secret World now and I'd say it's probably just about ready for me. We're coming up hard against the next beta weekend. 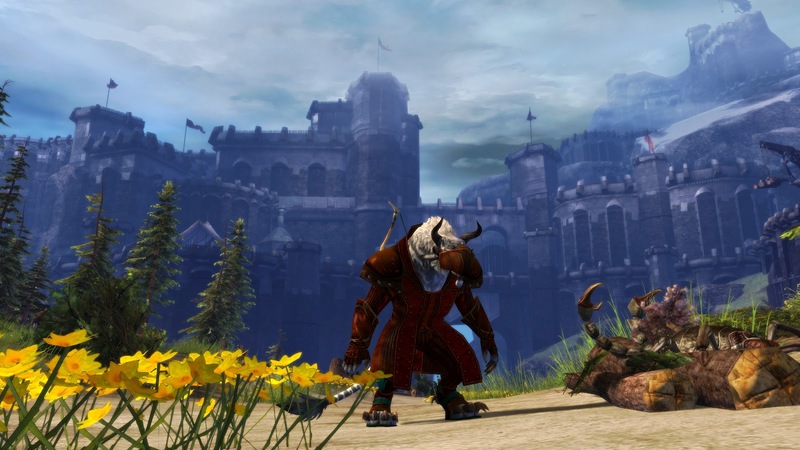 It's The Secret World this time and I had a little more left to say on Guild Wars 2 but there's scarcely time. Maybe there's somewhere I could get some advice on pacing myself. Luckily someone already covered the main point I had it in mind to make. Several someones, in fact. Syl, and Azuriel for two. 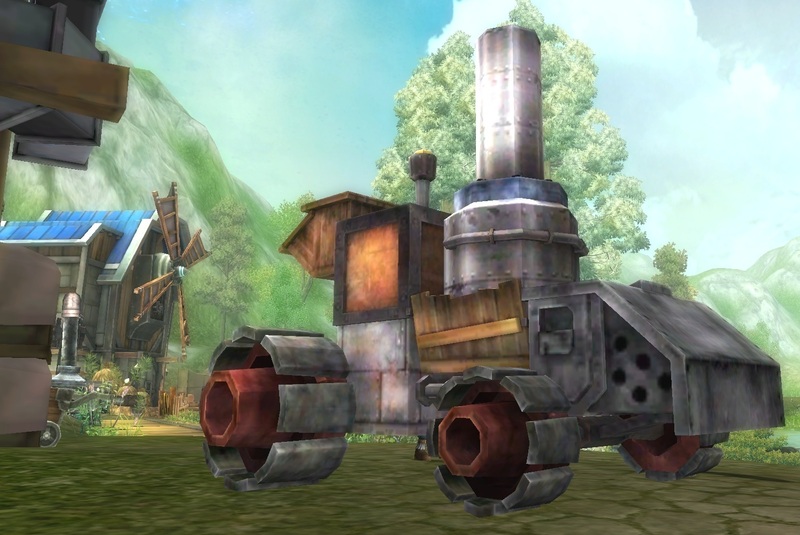 The point in question is whether the MMO world is ready for a theme park that doesn't tell you where the rides are, which order you're supposed to ride them or when you get on and off. There may be some danger of culture shock and if we're talking MMO tourism, there did seem to be more than a few people on Yak's Bend last Sunday who'd found they'd gone on a Tyrian holiday by mistake. Cries of "Where do I go to level up?" and "I did all the hearts and I'm still two levels too low for the next zone" echoed through Map chat in Plains of Ashford every time I passed by. Pointing out (as I did, frequently) that levels scale, events diverge and change, travel to other areas is fast and easy or even that you can get experience from pulling up an onion (a Ravious Top Ten Tip) was met by complete indifference. The most disheartening thing was that no-one even argued the point, they just reeled off the exact same prescriptive instructions you'd get from anyone trying to be helpful in WoW (oh, use your imagination - it could happen). "Go here, stay there this long, then go there", "Do this first, then do that". My least-favorite "helpful" reply was "go do your Personal Story". Now I'm not knocking the quality of the Personal Stories. Wait. I'm not knocking the quality of the Charr Ash Legion Personal Story, that being the only one I've seen. Black Swans and all that. I did some more of mine and it's pretty good as these things go. My problem isn't with how ArenNet have done the Personal Stories. It's that they've done them. Someone else in a similar place. Close enough. I sent a good deal of negative feedback during the last beta test, using the bug reporting tool in creative mode. Most of it was about the UI, with which I have some serious issues. (I did try doing a post on that but even I was bored before the third paragraph). My other complaints were largely related to the existence of the Personal Story, which I felt was having the exact opposite of the intended effect. Far from bonding me with my character, I felt I was being invited to watch a movie about someone else entirely, with the screening being spasmodically interrupted and re-scheduled in increasingly inconvenient locations in and around The Black Citadel. It was enjoyable but it seemed to have nothing at all to do with the supposedly living, open dynamic world inhabited by my own character (you know, the one whose motivations, attitudes and personality quirks I decide). Maybe it's possible to integrate an instanced, didactic, directed, inflexible Personal Story seamlessly with a quasi-open world filled with unpredictable dynamic events. 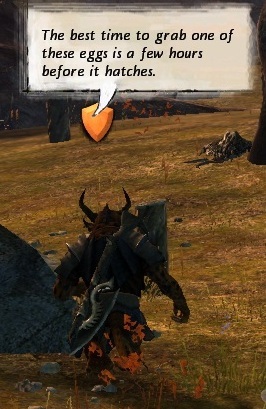 If so, ArenaNet don't seem to have cracked it yet. I fear that, as Azuriel succinctly puts it, "You cannot start off with structured, instanced storytelling and then act surprised when someone asks when they can get to the next step". Which was what was happening all day Sunday. My personal solution is to think of my character's Personal Story as some kind of dream or fantasy he's having and not allow it to get in the way of him doing whatever the hell he feels like doing. That way I can enjoy the really rather good storytelling without being affected by the incongruity. Heaven knows I'm used to blinking at logical inconsistencies in MMOs. Sometimes I have to blink so often I must be at risk of strobe-induced epilepsy. Ah well, plenty of people didn't "get" Guild Wars when it launched and that ended up doing alright. I'm sure it'll all work out in the end. Fingers crossed. Remember that video? 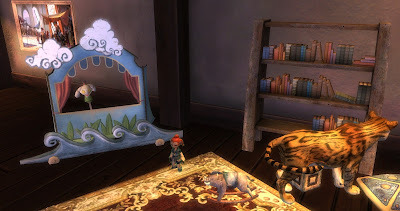 The one where someone who doesn't sound the least bit creepy at all talks us through a GW2 event from several different angles so the whole intricate clockworking is exposed? Well I didn't make one of those. I did, however, remember to follow one small event from start to finish and see what happened afterwards. And I even took screenshots. 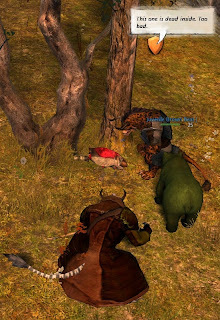 We come in just after I have accepted an offer to protect the magnificently-named Faint Ghostlight while he goes grubbing up Devourer nests to find the perfect egg from which he will hatch a new pet to replace one that got killed in a fight. 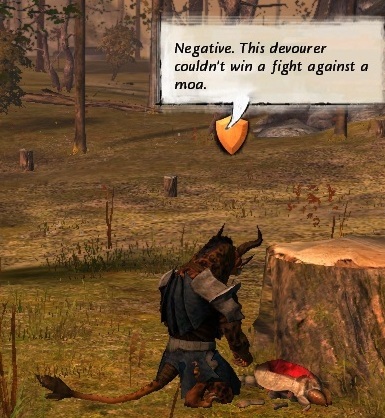 "Some devourers grow up stronger than others"
"This one is dead inside. Too bad"
Faint moves from nest to nest inspecting eggs and pointing out why they don't meet his exacting standards: dead, weak, sticky. Sticky throws him off stride for a second but he rallies. While he's giving out free advice and waxing sentimental, yours truly has to deal with all the angry scorpions not unreasonably objecting to the way he's judging then discarding their unborn children. "That's unusual. This egg is sticky." "Negative. This devourer couldn't win a fight against a moa"
"The best time to grab one of these eggs is a few hours before it hatches"
"Aha! This is the one!" Finally he finds one that meets his exacting standards. Clearly unhappy with his own delicately nuanced and seemingly highly inapt name, he calls his egg something less poncy, pops it into some kind of wicker incubator and runs off. 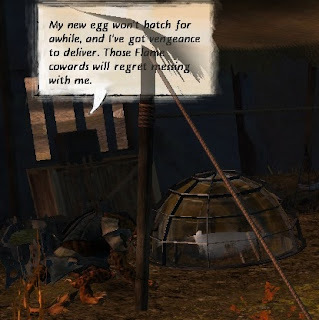 "My new egg won't hatch for a while and I've got vengeance to deliver"
At this point I would usually head off in the other direction but this time, remembering the video, I followed to see what would happen. 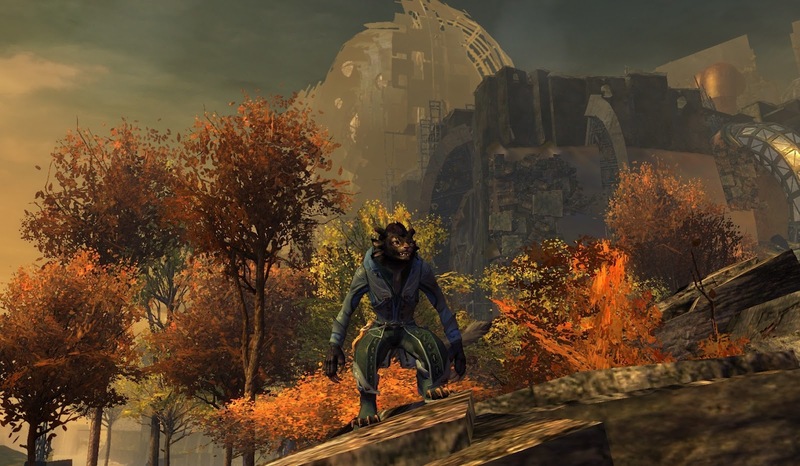 Faint loped off around the settlement to the gate, where several Charr appeared to have been waiting for him to get his act together. He reported to the one I took to be his Warband leader, a laconic individual with as much patience as you'd expect form anyone who'd grown up having much to do with Faint. "Alright, listen up! The mission is clear"
Our mission? Infiltrate and capture the Flame Legion headquarters. What, just the four of you, plus me and the bear? Unsurprisingly that's about as far as I got to follow this particular chain. Twenty paces down the road we were ambushed by the Flame Legion and wiped out to the last cat. It was a lot of fun while it lasted. And now I know how to tell good devourer eggs from bad, which always comes in handy.